The daily method of brushing our teeth is something that dates back hundreds of years from when people used tiny tree twigs to get rid of food particles from their mouth. These days, toothbrushes come in various sizes, shapes, and functions. Apart from the plastic ones, you can get the multifunctional electric one or the eco-friendly bamboo ones. But choosing the best toothbrush all boils down to your budgets and needs, which makes going to the dentist less scary. If you desire a convenient, efficient and effective toothbrushing experience, then the Oral-B Pro 1000 is just the answer to your prayers. This little number contains an arsenal of exciting that are just too good to pass up. The CrossAction brush head has been specifically engineered to provide the user a clinically-proven superior clean than any regular manual toothbrush. It surrounds each of your teeth with bristles angled at 16 degrees as well as a 3D cleaning action that oscillates, rotates and pulsates to break apart and can remove over 300% more plaque than your average toothbrush. Pressure sensor: This function stops the pulsation movement if and when it detects you’re brushing too hard. In-Handle Timer: This helps us brush for over 2 minutes as our dentists normally recommend. It even buzzes every 30 seconds to inform you when it is time to focus on another area of your mouth. 1-Mode, Daily Clean: This helps break up and sweep away plaque. Oral-B strikes again and this time with a manual toothbrush titled Pro-Health All-in-One Toothbrush. It’s state-of-the-art soft bristles guarantee not only cleaner and brighter teeth, but also keep your gumlines clean so they can be stimulated to prevent gingivitis. The Oral-B’s one-brushing removes about 99% of the plaque that gets stuck in hard-to-reach places. It also gets rid of residual surface teeth stains. Not to mention, it also fights off odor-producing bacteria with the Textured Tongue Cleaner, ensuring your breath smells minty fresh. Power Tip Bristles: they are extra long to reach behind the back teeth to provide precision cleaning in tough-to-reach places. 16° Angled CrissCross Bristles: these bristles can flex and straighten, efficiently penetrating between the teeth to provide an effective sweep of plaque. End-Rounded Bristles: are polished to be gentle to your gums and enamel. Soft Gum Stimulators: are placed in two rows on both sides of the excellently designed brush head to give your gums a nice gentle massage. Textured Tongue Cleaner: helps remove bacteria that causes bad breath. 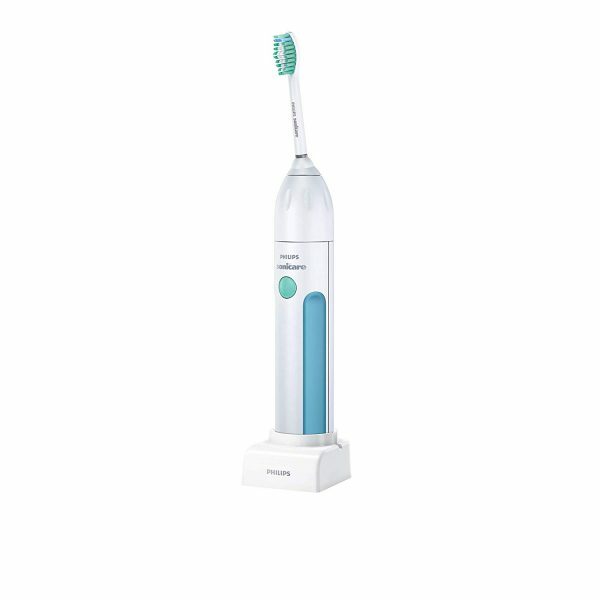 Taking care of your oral health will be a cinch as long as you’re armed with the Philips Sonicare Essence 5600 Rechargeable Electric Toothbrush. 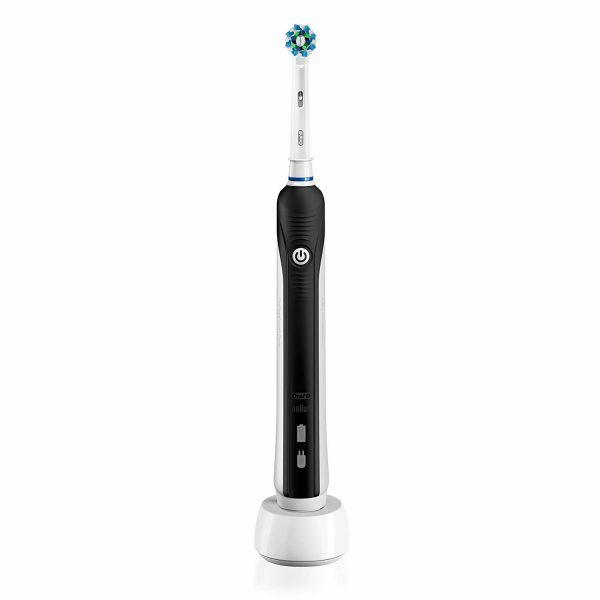 What this amazing creation features are soft contoured bristles, as well as patented sonic technology that effectively, but gently removes two times more plaque buildup from all those hard-to-reach areas than any ordinary toothbrush. Easy-start-feature: helps you get adjusted to the convenient Sonicare brushing experience. 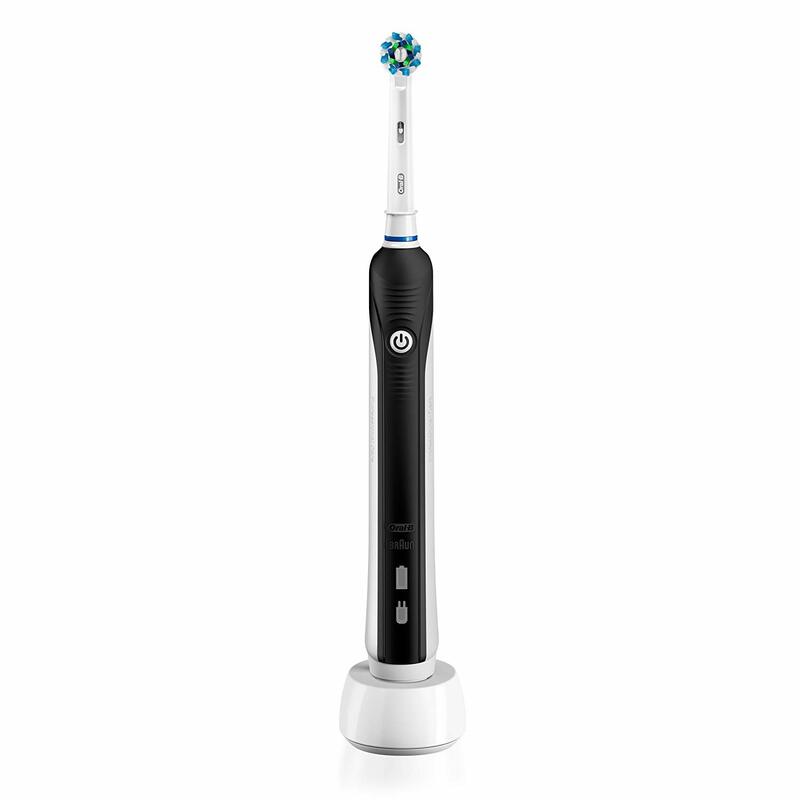 Sonic technology: cleans your teeth with up to 31,000 brush strokes a minute. Smartimer: sets the dentist-advised brushing time of up to two minutes. Powerful charge: with just a single charge, your toothbrush can have enough power that will last up to two weeks. 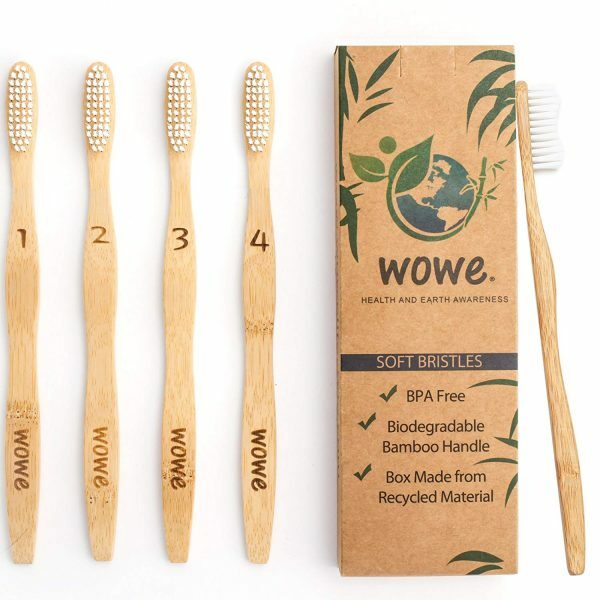 If you understand the severity of the environmental damage caused by plastic toothbrushes, then the WowE Natural Bamboo Toothbrush get give you just the right start to your eco-friendly lifestyle. It is recommended that you change toothbrush after every three months as any brush that gets worn and torn will be less effective in cleaning your teeth. As such, the brush will remove less plaque and leave room for bacteria to build up. 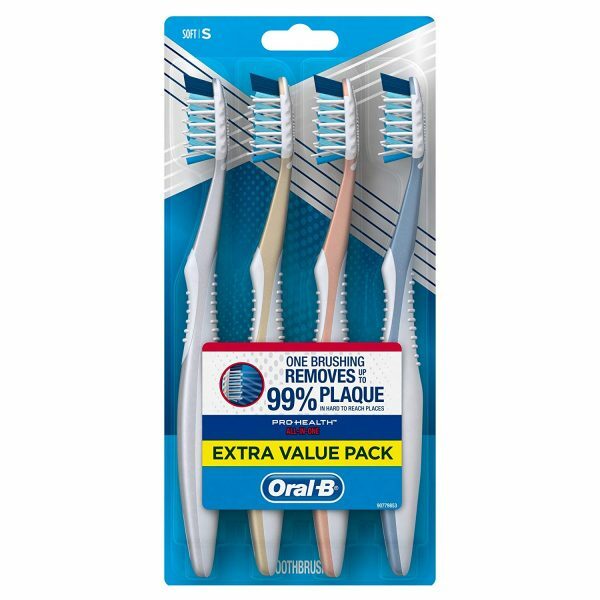 BPA-free bristles: BPA-free bristles prevent serious health hazards that your health such as heart disease, infertility, breast cancer and negative brain alterations. 100% plastic-free zero waste packaging: it helps to keep plastic waste packaging to a minimum. Smooth and natural bamboo handle: this handle is water-resistant and will never splinter. Not only is it stronger and harder than wood, but it also more durable and healthier than any plastic. There’s also no need to dry your toothbrush as all you need to do is rinse it and then put it back in its holder.